Carrabelle is known for great fishing options. Bay, flats, river, coastal and offshore all are available and in abundance just minutes from the Club. Frank, Chester and the staff are well versed and knowledgeable with local information and more than happy to assist you with a great fishing experience. Your boat will be ready and waiting when you arrive. We would like to officially invite you to participate in the first annual Fishing Assassin Challenge! This tournament is being held for fun rather than competition, and we would like to give our customers the opportunity to win some cool prizes while enjoying great fishing on Florida’s forgotten coast. Prizes include a trophy, Shimano fishing reel and rods (inshore and offshore), Costa sunglasses, and more. This is our chance to show our customers how much we appreciate their business. The tournament will conclude with a party celebrating the tournament winners, a cook-out, and a concert by your Carrabelle Boat Club Band! We hope to see you here fishing from May 1, 2015 through June 30, 2015. Please see the Fishing Assassin Challenge rules and regulations below, happy fishing! 1. Entry is FREE. All Carrabelle Boat Club members are welcome to participate in the fishing tournament. 4. Tournament sponsored by the Carrabelle Boat Club. All CBC customers are welcome to participate. 5. Each boat may weigh 2 fish per division per day. 6. Weigh-in will be open from 12:00 pm – 6:00 pm (Friday, Saturday, and Sunday) and 12:00 pm – 5:00 pm (Monday, Wednesday, and Thursday). The Carrabelle Boat Club is closed Tuesday. 7. Fish to be weighed must be brought to weigh-in on the boat from which they were caught. Angler must accompany fish to scale. 8. Fish must be weighed on the day of which it was caught. 9. 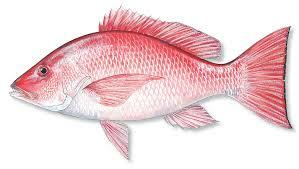 The tournament reserves the right to reject any fish due to poor condition or mutilation. 10. Fish will be weighed, identified as weighed, and weighed only once. 12. Fish are weighed and recorded in pounds and ounces, in the event of a tie first fish weighed wins. 13. Anglers must comply with all applicable state and federal laws regarding fishing licenses, permits, size limits, bag limits, or any other regulations which may apply. 14. Rulings made by the tournament committee with regard to all tournament issues are final. Tournament Committee consists of Caden Barber, Frank Sheridan, Andrew Waller, Clarence Lowery, and Chris Foster. 15. No cheating. No protests. No complaining. Those who even contemplate any of the previous will have their fish confiscated and eaten by the Tournament Committee. 1st Place: (Offshore) Single heaviest fish weighed will receive a Shimano fishing rod and reel, and one free boat wash.
1st Place: (Inshore) Single heaviest fish weighed will receive a Shimano fishing rod and reel, and one free boat wash.
A trophy (along with year-long bragging rights), Costa Sun-Glasses, and a $100 gas gift card from the Carrabelle Boat Club will be presented to the Angler weighing in the highest aggregate weight of fish during the tournament. Aggregate weight will consist of combined weight of fish caught in both divisions. The awards for the first annual Fishing Assassin Challenge will be presented on July 31, 2015. A cook-out, award ceremony, and full concert will on the agenda along with a very good time! For seating reservations or accommodations please call Caden at (850) 631-1644 (or email at caden@cmmmarinas.com). We look forward to serving you and wish you the best of luck in this years tournament. Note: All participants consent by weighing in fish to permit the Carrabelle Boat Club to publish photographs to Social Media (face book) and other websites. 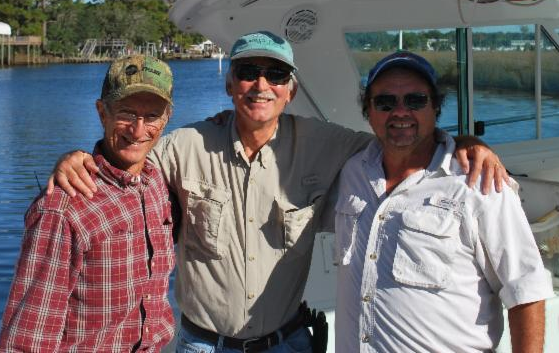 Participants agree to indemnify and hold harmless; Tournament Committee, The Carrabelle Boat Club, Coastal Marina Management, and those involved in sponsoring, operating, and managing tournaments. Awards may not be redeemed for cash. Awards may only be used for those in current good standing with The Carrabelle Boat Club and may not be applied to arrears.